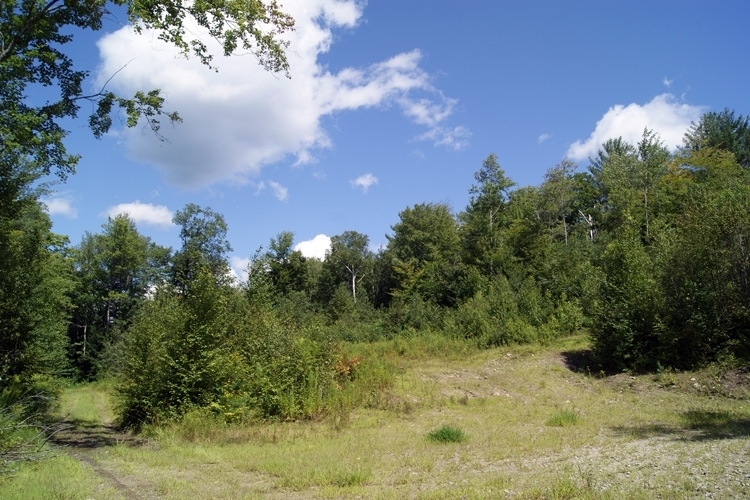 Isham Forest offers the opportunity to acquire an affordable recreational tract with good access, a young hardwood forest, internal trails, moderate terrain and a year-round brook with an active beaver population. 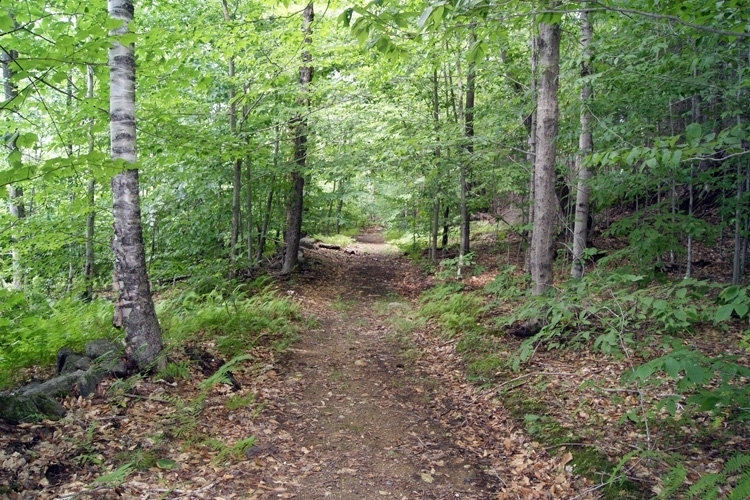 This forest is well-suited for an off-grid seasonal camp, although electric power is available at the parcel’s southern boundary. The property is located less than two miles from the village center of Gilsum, a small, rural town with classic New England charm. Regionally, the tract is situated in the southwestern corner of the state less than ten miles north of Keene, the county seat and home to Keene State University. 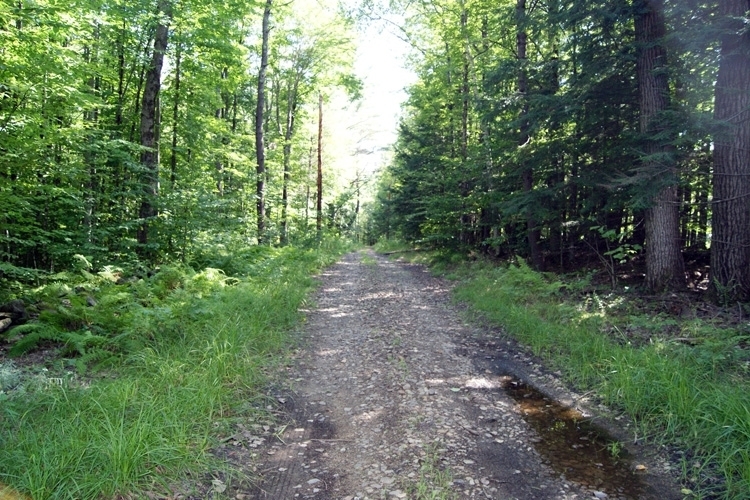 Access is provided by the unimproved Class VI portion of Centennial Road, a town-maintained road off Route 10. The gravel road bisects the southeast corner of the parcel and then parallels the eastern boundary. The drivable portion ends about half way up the parcel boundary where the road then downgrades to an ATV trail. The terrain slopes moderately with a west/southwest aspect. Soils are mostly well-drained, and rocky in a few places. 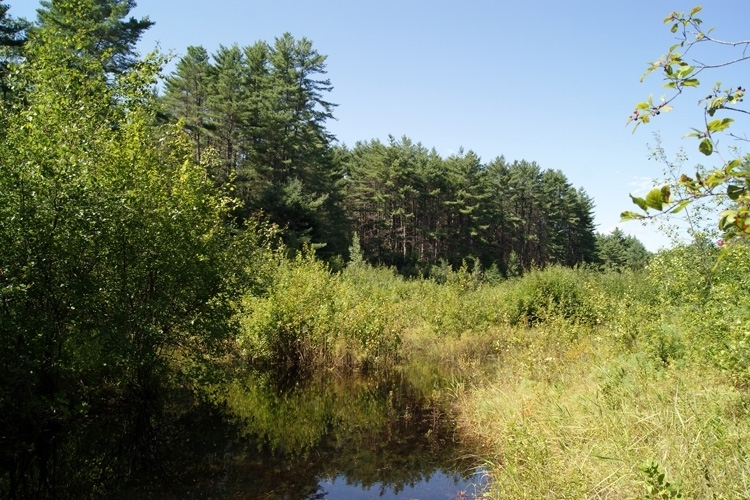 At the bottom of the slope along May Brook, soils become wet, influenced by periodic rising water levels due to beaver activity. A small pond is steadily growing in size as a result of a dam under construction. The forest was harvested approximately eight years ago, leaving an overstory of small hardwood sawlogs. 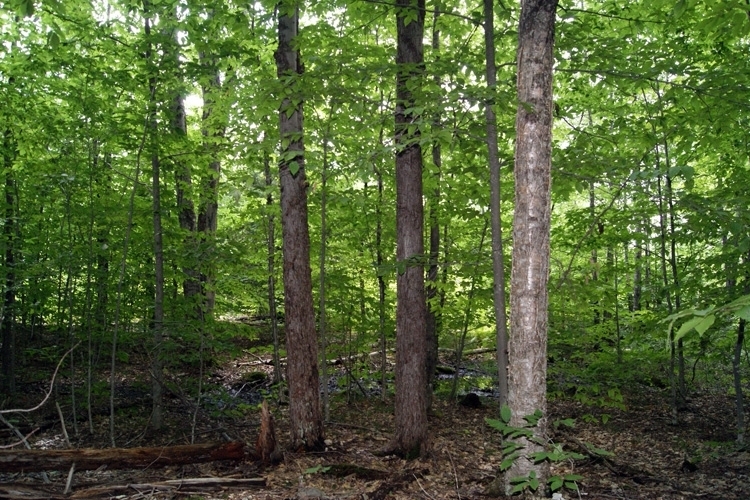 The young, regenerating forest features birch, maple and red oak. Pin cherry saplings are present in the larger openings, which are an attractive late summer food source for black bears and other wildlife. Perennial May Brook parallels about two thirds of the parcel’s western boundary. Shrouded by a significant margin of alders, saplings and wetland vegetation, the width of the brook varies widely depending on the season. 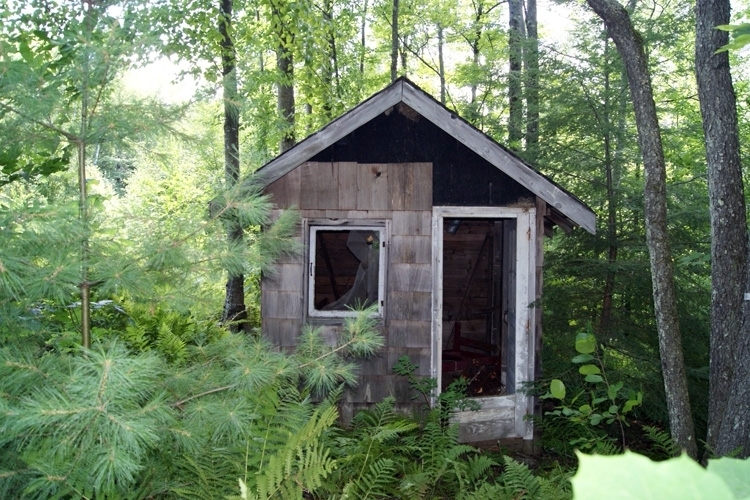 A very small, abandoned camp exists on the property. 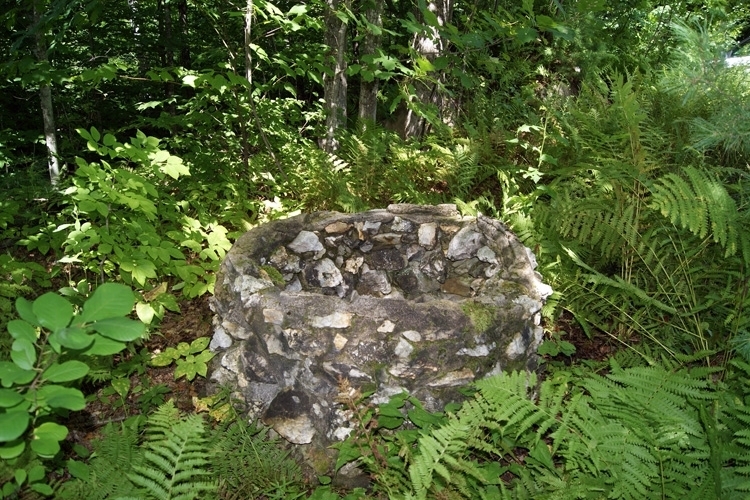 It is located near the access road, next to an open, stone-lined well (flagged for safety). The camp might be restorable, depending on the desire of the next owner. 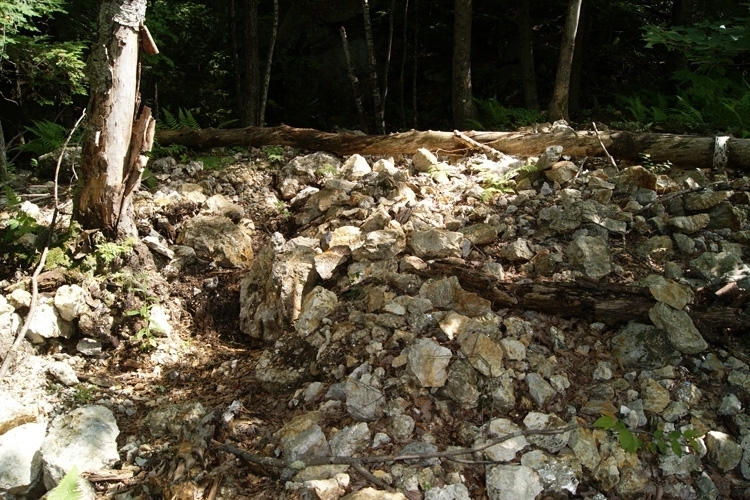 A small (<¼ acre) mica mine exists in the southeast corner of the property. Such mines were active throughout the 19th and early 20th century, producing mica for paint additives and later as insulating material for all kinds of electrical equipment.